Finished In Orca Black Metallic Paint With Full Black Volcano Leather Upholstery. This Ex-Demonstartor Is The Highest Spec'd SQ7 On The Market Today. Only 3,000 Miles and Options Including: Comfort and Sound Pack (360 Camera, Park Assist, Advanced Key, BOSE Surround Sound), Technology Pack (Heads Up Display, Virtual Cockpit, Audi Phone Box), Black Styling Pack, Reverse Camera, 22' Alloys, Red Brake Callipers, Electric Front Memory Seats, Heated Front and Rear Seats, 3 Spoke Flat Bottom Steering, Lightening Pack, Panoramic Sunroof, Privacy Glass, LED Advanced Lights and Fixed Side Steps. Can Only Be Described As 'Pristine' Throughout. Please Call or Email To Discuss., 1 owner, 7 seats, FREE NATIONWIDE DELIVERY - 5.4% APR FINANCE AVAILABLE - 12 MONTHS WARRANTY!!! VIRTUAL COCKPIT - TECH PACK - COMFORT AND SOUND PACK - BANG & OLUFSEN - FULL AUDI SERVICE HISTORY!!! Finished In Metallic Mythos Black Paint With Full Black Fine Nappa Leather Upholstery. Only 12,500 Miles With An Outstanding Specification and A Full and Comprehensive Audi Service History. Optional Extras Include: Comfort And Sound Pack Including Bang And Olufsen Sound 3D Sound System, Technology Package, LED Headlights, Privacy Glass, 19in 9J 5-Parallel-Spoke Star Design Alloy Wheels, Folding Mirrors, Audi Smartphone Interface, Front And Rear Parking Sensors And Magnetic Ride. An Outstanding Vehicle With An Extensive List Of Optional Extras. This Vehicle Can Only Be Described As 'Pristine' Throughout. Please Contact Us For More Information., 2 owners, 4 seats, FREE NATIONWIDE DELIVERY - 5.4% APR FINANCE AVAILABLE - 12 MONTHS WARRANTY!!! Finished In Glacier White Metallic Paint With Full Black Leather Upholstery. 55,000 Miles and Maintained Fully By Audi Main Dealers. It Comes Equipped With 7k Worth Of Optional Equipment Which Includes: Panoramic Sunroof, Technology Pack, 21' Alloys, Electric Front Seats, Heated Seats, Powered Tailgate, Reverse Camera and Privacy Glass. This Vehicle Has Just Had A Major Service Completed In December 2018 From Audi and 4 New Tyres Supplied and Fitted By Audi. We Can Only Describe This Vehicle Throughout As UnMarked and With A Perfect History. Please Call or Email To Discuss., 2 owners, 5 seats, FREE NATIONWIDE DELIVERY - 5.4% APR FINANCE AVAILABLE - 12 MONTHS WARRANTY!!! 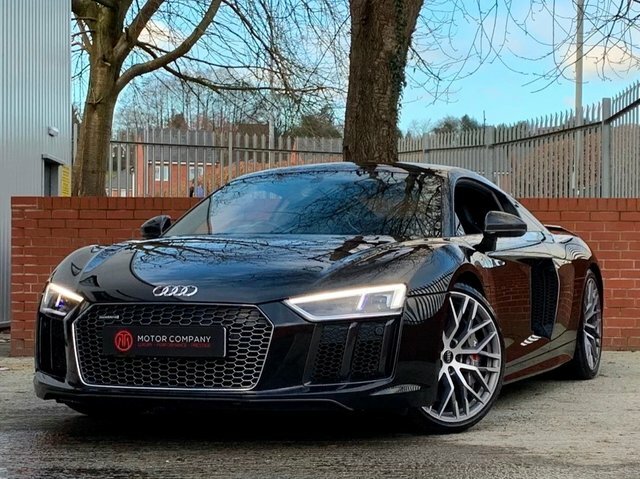 FULL AUDI SERVICE HISTORY - PANORAMIC SUNROOF - BLACK STYLING PACK - 12 MONTHS WARRANTY Finished In Daytona Grey Pearl Effect Paint With Full Black - Alabaster White Leather Sport Seats In Fine Nappa Leather. Only 38,000 Miles and Full Audi Service History. A Very Well Spec'd Example With Options Including: Open Sky Panoramic Sunroof, Extended Leather Pack, Black Styling Pack, 20' Titanium Alloys, Heated Front Seats, Piano Black Inlays, Audi Parking System Advanced Inc Reverse Camera, Electric and Heated Mirrors, Privacy Glass and Bi-Xenon Adaptive Headlights. An Incredibly Well Presented Example With The Perfect History and Spec. Please Call or Email To Discuss., 2 owners, Start/Stop System, 20in x 8.5J 5 - Segment - Spoke Design Alloy Wheels with 255/45 R20 Tyres, Anti - Theft Device - Thatcham Category 1 Approved, Audi Concert Audio - Single CD Drive and SDHC Memory Card Reader which are Both MP3, WMA and AAC Compatible - 6.5in Colour Centre Display with MMI Operating Logic - AUX - IN Connection, Audi Music Interface, Audi Parking System Plus, Colour Drivers Information System (DIS), Cruise Control, DAB Digital Radio Reception, Deluxe 3 - Zone Climate Control, Electric Front and Rear Windows, Fine Nappa Leather w. S Line Sports Seats, Hill Descent Assist, Metallic Paint, Mobile Telephone Preparation - Bluetooth Interface, Privacy Glass, Rain Sensor, Rear Acoustic Parking Sensors. 5 seats, FREE NATIONWIDE DELIVERY - 5.4% APR FINANCE AVAILABLE - 12 MONTHS WARRANTY!!! BLACK EDITION - BOSE SOUND SYSTEM - SAT NAV - FULL SERVICE HISTORY - 12 MONTHS MOT - 12 MONTHS WARRANTY!!! Finished In Metallic Daytona Grey Paint With Black Alcantara / Leather Upholstery. This Vehicle Has Only One Previous Owner And Has Been Maintained Both Mechanically And Cosmetically With No Expense Spared. 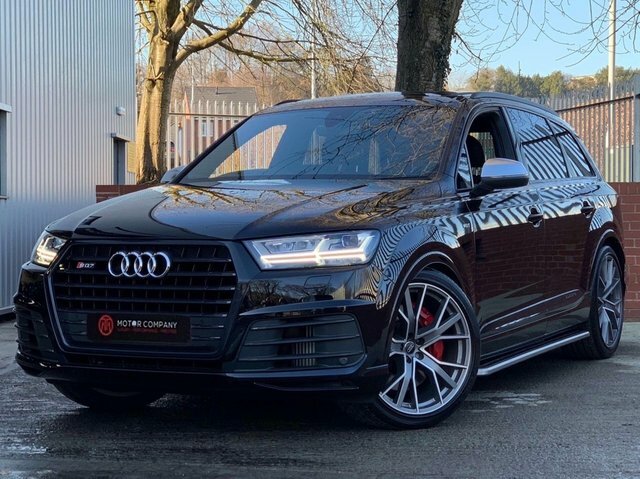 Optional Extras Include: Black Edition Styling Pack, 19' S - Line Twin Spoke Alloy Wheels, Electronic Climate Control, Audi Symphony Radio, Bose Surround Sound System And Privacy Glass. Standard Features: Aux-in Connection, Concert Radio with Front Loading CD Player, Mobile Telephone Preparation - Bluetooth Interface. Please Don't Hesitate To Contact Us For More Information., 2 owners, 4 seats, FREE NATIONWIDE DELIVERY - 5.4% APR FINANCE AVAILABLE - 12 MONTHS WARRANTY!!! Combining beautiful design and the very latest in automotive technology, Audi's range of compacts, saloons, sports cars and SUVs never fails to impress. At TMT Website Account we stock a superb range of used Audi cars, with options to suit every budget. If you're looking for an executive saloon with the style, grace and power of a used Audi A6, a compact option like the Audi A1 or a thoroughbred sports car such as the Audi TT, our team is here to help. We offer the best selection of used Audi cars for sale in Congleton and we'll always go the extra mile to ensure you find the right vehicle to suit your needs. Browse our latest stock here on the website and be sure to get in touch to discuss your requirements in more detail.